← Forensics: Making sure your employer get paid regardless……. Looking back on the most popular articles published this month in Forensics in Focus. Thank you all for following!! The $2 drug tests are great for law enforcement drug warriors, but not much goo for anyone else. A science-based blast at Prosecutors’ belief in alchemy voodoo and bitemarks . Looking into Carbon 14 testing of blood samples. The cost of Austin Crime Lab failure reaches $6.5 to 14 Million estimate. Disappointed? 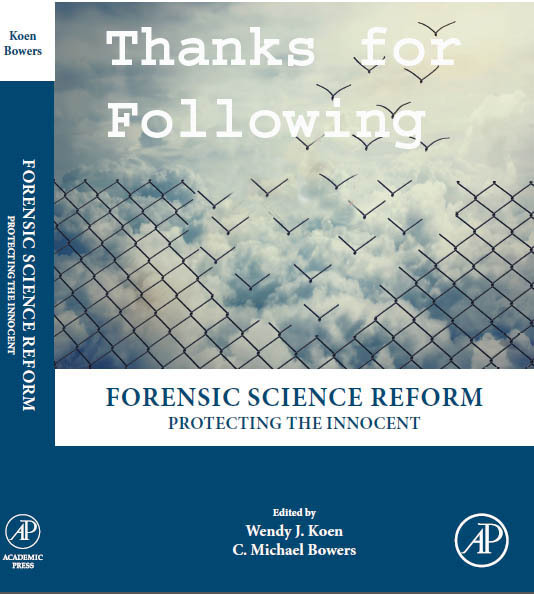 American Academy of Forensic Science’s blurb on PCAST and scientific validation. This entry was posted in criminal justice reform, CSI, forensic science reform and tagged Forensic science, forensic science reform protecting the innocent. Bookmark the permalink.